It is soooo important to change your machine needle often! The number of times the needle is going through threads of fabric for each project is enough to wear it down and thus slowly wear away at your machine. To keep your stitches looking nice and clean, change your needle before each project. One thing I like to do is remove the needle at the end of a project or when I am done sewing for the time. That way the next time I go to sew I will definitely replace the needle. Change your needle and stitch beautiful! Hmmm. I have been quilting since June and haven't changed mine yet. I'm new to all of this so I'm glad you posted this! Thanks! 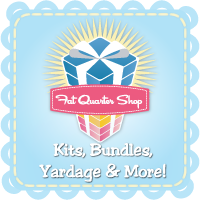 Sew, Mama, Sew Giveaway Day!! !